There are many delightful things about this wine. 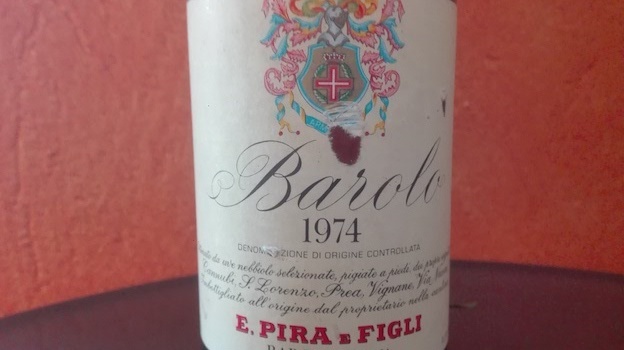 Its pretty label is noteworthy, for it spells out the Nebbiolo vineyards in which the grapes were picked (Cannubi, S.Lorenzo, Prea, Vignane and Via Nuova), a rarity, as hardly anyone thought of making such info available back then. The label also charmingly informs us of ‘… uve Nebbiolo pigiate a piedi…’ (Nebbiolo grapes pressed by foot), a statement that reminds us just how times have changed. Last but not least, the wine itself, now fully mature, is magnificent, picking up in size and concentration with aeration, exuding a weightless quality and noteworthy inner-mouth perfume. The rich red cherry, tar, botanical herb and licorice aromas and flavors are at once powerful yet refined, and linger impressively. A superb showing. 93/Drinking Window: 2016-2022.